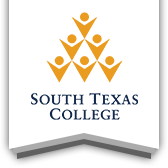 South Texas College recognizes students with high academic achievement by naming them to either the President's Honor Roll or Vice President's Honor Roll. To be named to the President's Honor Roll, a student must be enrolled in 12 or more credit hours and must have earned a grade point average (GPA) of a 4.0 on a 4.0 scale for the semester. To be named to the Vice President's Honor Roll, a student must be enrolled in 12 or more credit hours and must have earned a grade point average (GPA) of at least 3.75 on a 4.0 scale for the semester. De La Cerda Salazar, Victoria E.
De La Garza, Carlos J.
Gomez De Ruiz, Carolina E.
Lopez - Pena, Cecilia M.
Martinez De Gonzalez, Evelyn M.
De La Cruz, Ashley M.
Salmon Rincon Gallardo, Maria A.